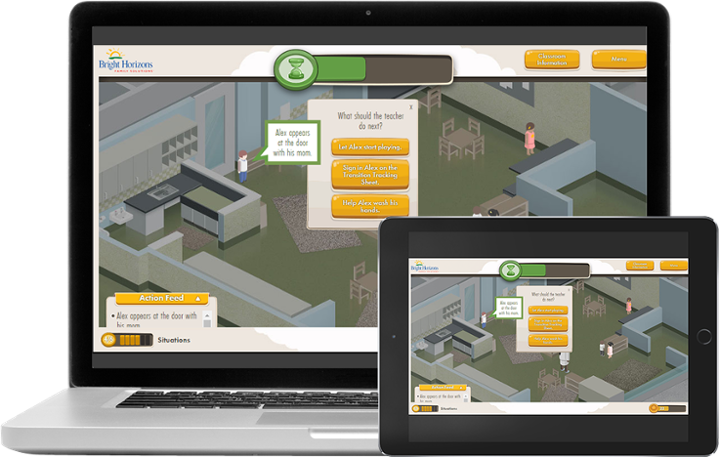 ELearning gamification is a hot topic right now, to say the least. When done right, learning game design can truly improve employee engagement, motivation, and performance. Whether you find yourself designing a serious game or a gamified treatment used inside an elearning course, there is a wealth of knowledge to garner from the field of game design. 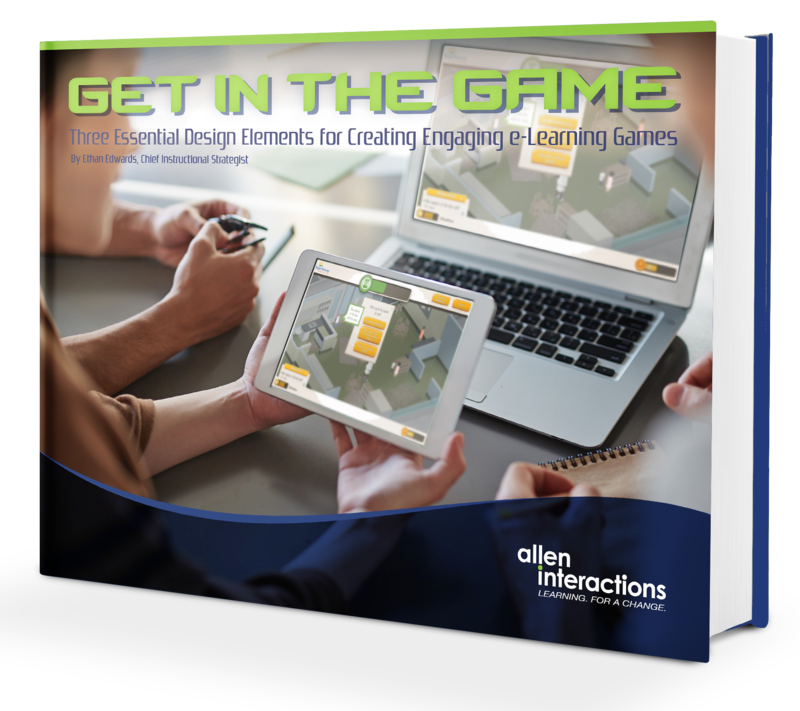 Here at Allen Interactions, we strive to help the industry navigate the learning game design. We do this by moving from content-driven learning to performance-based learning while using theories and elements across a series of disciplines to meet your organizational and learner needs (elearning gamification, instructional design, behaviorism, agile development, design thinking, etc.). We believe in marrying gamification training elements and mechanics to instructional design—without haphazardly throwing in points or badges. In fact, we’ve been doing that for more than 20 years with our CCAF Instructional Design Model created by our CEO Michael Allen. Bright Horizons was proud to learn that our Virtual Lab School won Silver at Training magazine's Online Learning Conference Learning Design Challenge in the Gamification category. Our Education and Development Department created the Virtual Lab School with Allen Interactions so that classroom skills can be practiced in an online game format, uniquely making this learning benefit both safe and fun. The Virtual Lab is one example of how Bright Horizons pursues meaningful innovation to advance our goals that not only ensure that our employees have high quality professional development, but also enhance their ability to provide the best care and education for young children.